Ueno (上野) is a district in Tokyo's Taitō Ward, best known as the home of Ueno Station and Ueno Park. Ueno is also home to some of Tokyo's finest cultural sites, including the Tokyo National Museum, the National Museum of Western Art, and the National Science Museum, as well as a major public concert hall. Many Buddhist temples are in the area, including the Bentendo temple dedicated to goddess Benzaiten, on an island in Shinobazu Pond. The Kan'ei-ji, a major temple of the Tokugawa shoguns, stood in this area, and its pagoda is now within the grounds of the Ueno Zoo. 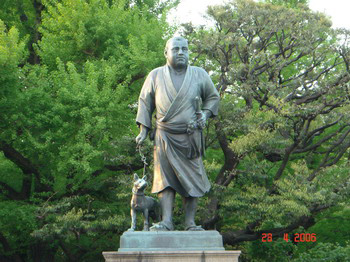 Nearby is the Ueno Tōshōgū, a Shinto shrine to Tokugawa Ieyasu. Just south of the station is the Ameyayokocho, a street market district that evolved out of an open-air black market that sprung up after World War II. Just east is the motorcycle specialty district, with English-speaking staff available in some stores. Ueno is in the historical shitamachi, literally "down-town" district of Japan, a working class area rather than where the aristocrats and rich merchants lived. Today the immediate area, due to its close proximity to a major transportation hub, retains high land value but just a short walk away to the east or north reveals some of the less glitzy architecture of Tokyo.